A slot game themed around the luck of the Irish, with an RTP of 96.46% and 20 paylines across three rows and five reels. It belongs firmly in the Irish folklore genre of online slots, and has a Leprechaun Song bonus, along with some randomly generated extra features. The best place to play it is here at UK Slot Games, where you can also play over 600 slot games, including ‘Starburst’, ‘Rainbow Riches’, ‘Fluffy Favourites’ and ‘Bonanza’. Irish legend and folklore always seem to make solid choices for online slot developers. That’s no real surprise; who doesn’t want to find a pot of gold at the end of a rainbow? Isn’t that the reason we all play slot games in the first place - because we hope that a lucky charm is going to bring us some money? Pragmatic Play have really taken the theme and run with it. The game; which might owe a little in its look and feel to the eternally popular ‘Rainbow Riches’; is a brightly coloured and cartoonish world, with vivid rainbows, smiling leprechaun faces and plenty of designs on the reels that will please fans of Irish stereotypes. It’s definitely a game that goes for the ‘fun’ vibe, and it delivers that in spades. In keeping with that theme, when you load the game up you’ll be greeted by a rich, verdant green background of the kind that can only be found in the Emerald Isle, along with some natural-wood reels, and a huge rainbow arching over the back of it all just to drive the message home. You’ll notice some musical notes, too (the game is called ‘Leprechaun Song’, after all), and a really lively and jaunty soundtrack that belongs to the bars of rural Ireland. You wouldn’t be surprised to see people jigging across the bottom of the reels, doing the famous Riverdance. In terms of the symbols, we have the traditional playing cards from 10 through to A making up your lower values, accompanied by a pint of black liquid that’s almost certainly Guinness, the leprechaun’s hat, the leprechaun’s pipe, and of course the lucky leprechaun himself. When he’s not on your reels, you’ll see him perched on top of them, checking in on your game to see how you’re getting on. A particularly colourful rainbow with ‘WILD’ splashed across it in bold type is your wild. No prizes for guessing that! It will replace any other symbol to create new winning lines for you, with the exception o the scatter, which is represented by that elusive pot of gold. The maximum jackpot the game offers is 40x your initial stake. Pragmatic Play tend to do well with innovative bonus features, and they’re in fine form again here. At face value there’s only one ‘real’ bonus, but it splits into three different features and so there’s more going on than meets the eye. There are also three completely random features that can self-trigger at any time, no matter what’s on your reels. That’s a great way of keeping the game exciting, and can create opportunities for you out of nowhere when you don’t appear to be getting any luck. 1. Free Spins: Free Spins, which is a choice game requiring you to select from a range of mushrooms to find out what lies behind them. All of the mushrooms are hiding free spins or multipliers, apart from one which is a ‘collect’, and will end the bonus round with however many free spins and multipliers you uncovered before you found it. Another random wild symbol will be picked for you for the duration of the free spins, too. 2. Giant Symbols: Giant Symbols are always useful to help make winning lines, and that’s the third potential bonus feature within Leprechaun Song. If this mode is selected, you’ll get three free spins with a huge 3x3 symbol somewhere on the reels. That should make you plenty of winning lines! Giant Symbol is exactly the same as it is within the main bonus mode; so even if you don’t manage to trigger it by finding the scatters, the game offers you another chance to benefit from the feature. The only difference when it triggers randomly is that you don’t get any free spins with it. Therefore you only get one spin with it on the reels; cross your fingers and hope you strike lucky! Coin Collector is exactly what it sounds like, but is contained within an alternative free spins mode. You start with all wins doubled and fifteen free spins, but gold coins will also start to appear on the reels. Collect five of them, and you’ll get another five spins, along with the multiplier increasing by a factor of one. The more times you land three coins, the longer this mode lasts. There’s another tiny bonus available within the main game; if you land scatter symbols on the first and third reels, you may get a ‘nudge’ option to see if you can bring down another scatter and trigger the full bonus. As we said, there are also random features which can potentially occur at any time of the game’s own choosing, and there’s some fine prizes to be won within these as well. Raining Wilds is a particularly helpful one; plenty of extra wild symbols will be added to the reels, and so each spin you’ve got enhanced chances of winning. Pick a Fiddle is another choice game, but you only get to make one selection here, so choose wisely! Five fiddles; which are a traditional Irish musical instrument if you weren’t aware; will appear before your eyes. Behind each one of them is a different cash prize. Some have higher values than others, and whichever one you choose will be added to your pot. On their own website, Pragmatic Play say of Leprechaun Song:- “Find the pot of gold in Leprechaun Song™, the 3×5, 20 lines videoslot. When the leprechaun sings, hit one of the random treasures at any spin – raining wilds, pick a prize and giant symbols. 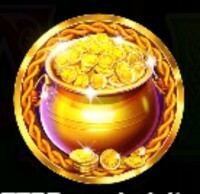 Hit the bonus rounds in multiple ways, as the leprechaun awards second chances. The bonus game awards one random feature – giant roaming symbols, free spins with symbols transformed to wild and coin collector progressive free spins”. Pragmatic Play don’t tend to publish huge amounts of text about any of their games; they have the confidence in their products to trust that you’ll understand and like what you see. In the case of Leprechaun Song, they’re very right to. This is an absolutely delightful game, packed full of great bonus features and some nice touches of animation. The whole experience of playing Leprechaun Song is a very charming one, and it’s no surprise that there are plenty of gamers out there who consider this to be their ‘go to’ title. 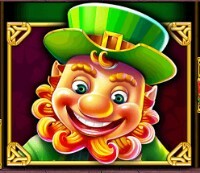 As we noted earlier, there are plenty of online slots that use Irish imagery as a backdrop to the gaming experience; we have several of them here at ukslotgames.com. It’s always been a traditional favourite of gamers, and so developers will continue to supply that demand for as long as it exists. When we’re looking at similar games on the market that you might enjoy, the first place we look is the developer of the game we’re reviewing, to see if there’s a sequel to this game, or a family of games based around the same topic. Pragmatic Play seem to prefer the old West, or ancient history, as themes for their games, but they still have a couple of titles in their library that may also appeal to people who love this game. One of them in particular uses the same concept and characters. If you like Leprechaun Song, you’ll love Leprechaun Carol. We can say that with confidence with a very good reason; it’s almost exactly the same game, just presented with a Christmas twist. The leprechaun on the reels is dressed as Santa, it’s snowing in the background, and the soundtrack is Christmas carols instead of the usual traditional Irish folk. It’s like the original game decided to go on a Christmas holiday. You’ll probably only be interested in playing it at the relevant time of year, but when you do you’ll find a very slightly boosted RTP of 96.53%, and a maximum jackpot of 50x your stake as opposed to 40x. The third entry into the Irish themed genre from Pragmatic Play is a more traditional affair in both theme and appearance. All the gaudier themed elements from the other slots have been removed here; it’s a more old-school game decked out in green and gold, with three reels and three rows, fashioned more after an old one-armed bandit than it is a more modern online slot. That means fewer bells and whistles and fewer ways to win, but if you do enjoy the authentic feel of an old physical slot machine, this might be one for you. Volatility is low, and the RP comes in at 96.96%. There are many games that feature Irish stereotypes as a backdrop, as we’ve already said. That means it would be unfair to say the similar slot games on the market are outright clones or copies; they’ve just taken their inspiration from the same place. Many other slot developers have their own games based around Irish lore, and here are just a few of the better known ones we’ve found. Again, you’re free to play several of them right here at UK Slot Games. The best known of the similar games; and one of the best known online slots in general; is Barcrest’s Rainbow Riches slot. The visual style is extremely close to Leprechaun Song, and it also features five reels, three rows and twenty paylines, with an RTP of 95%. The eternally popular game offers several quirky bonus rounds with chances to boost your winnings, and brings the same sense of fun with it too. There isn’t really much to choose between this and Leprechaun Song; why not give both a try and decide which one is more appealing to you? There are actually two different online slots named ‘Irish Luck’, but the better known one is probably the Eyecon offering. It uses much of the same imagery as Leprechaun Song, but isn’t quite as sharp or modern in it graphical design. That doesn’t take away from the fact that it’s a very solid game in its own right, though. There’s even a bonus magic fairy who can bless the reels and alter the symbols, which is actually something it has in common with Rainbow Riches rather than Leprechaun Song. With its five reel format and rainbow background, this is a third take on a very similar theme. NextGen aren’t going to be left out of the Irish legends theme, either. This is another pretty game which takes on the Irish theme, and also adds some beautiful women to the reels to keep the male players interested. We don’t know if it does the same thing for the women. Pots of gold are what you want to see on the reels; so if you’ve played Leprechaun Song you already know what you’re doing here. The bonus modes are free spins, and a gamble feature that enables you to wager the total of your previous winnings. The RTP is a decent 95.04%. Pragmatic Play design their games for mobile slot players. That means when they’re putting the game together, everything is tested and optimized for the mobile version first before they go to work on the desktop version. Because of that, you would expect excellence from the mobile version of the game. That’s exactly what you get when you load Leprechaun Song on your smart device. With your smart device in landscape mode; this is literally the exact same game and layout. The buttons are all a comfortable size for your finger or thumbs, and everything from the graphics to the soundtrack have been ported perfectly. The only difference at all is that you’re using your fingers to play instead of a keyboard or mouse. It all feels natural and simple. Flip the smart device into portrait mode, and the buttons will intelligently rearrange themselves stay relative to the play area, without masking anything or getting in the way. As a little perk, you also get to see more of the background area, and the leprechaun moves from the top of the reels to take a perch sitting on the rainbow itself. If anything, the mobile version of Leprechaun Song is even better than the desktop version. It’s intuitive and user-friendly, and the fact that it was designed for the hand-held device easy to see. If every desktop slot game looked this great on a mobile phone, we’d be very happy. Leprechaun Song was only released in 2018, so even the initial release of the game is still listed in recent industry news. That doesn’t happen by default; there are plenty of slot games released every month, and many of them barely get noticed, even by gaming publications. That’s rarely the case with Pragmatic Play releases, though. Their reputation for quality means that people are always interested and excited to see what their latest offering contains. Here are a few pieces of news about the game we’ve found that have been published recently. Calvin Ayre, which is an expansive website covering the latest news in gaming and Bitcoin and written by a major entrepreneur who’s active in the sector, recently noted that Pragmatic Play have just received a license to operate within Spain. This is seen as a big plus for the developer, giving them access to a brand new market. Leprechaun Song was mentioned by name as one of their leading titles, and as such as an example of the quality that persuaded Spanish regulators to give their approval. CasinoBeats, an online industry newsletter, were also excited about the release of the new game. They provided their own miniature review of the game, and also carried a press release directly from Melissa Summerfield, the developer’s chief marketing officer. It’s clear from this that the game’s release was seen as one of the major launches during the second half of 2018. It would be no surprise to see it go on to win major awards when the time of the industry ceremonies comes around. 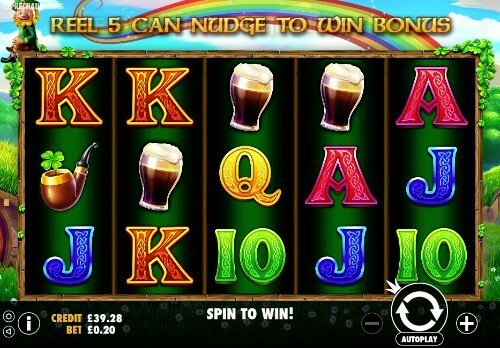 Why Is UK Slot Games The Best Place To Play Leprechaun Song? By now, you should have a feel for the game, and hopefully the level of enthusiasm we have for it has come through loud and clear in this review. It really is a great game, offering a healthy dose of fun alongside the usual thrills and spills of a good online slot. If you find yourself also hankering for a good pint of Guinness and a trip to Dublin, that just comes with the territory! If you want to give the game a try, we’d love to stay with us right here on ukslotgames.com and play it with us. Secondly, we don’t force you to deposit money when you first sign up. Everybody is welcome to make an account, and you can then browse our entire catalog to find a game you really want to play before you hand over any money. Leprechaun Song is a fine place to start, but there’s no reason to stop there! In fact, we do the opposite of forcing you to hand over money. When you sign up, you could win up to 500 free spins on our games just for doing so!